The Uninhabitable Earth sparked huge controversy in the Science Communication world. I share David Robert’s view that it was timely, well-researched, and a valuable addition to the popular literature on climate change. In case you’re wondering, Awareness Inspires Conservation. Submitted without comment: These ocean plastic collectors might end up collecting more Silicon Valley money than trash. Some great expeditions on OpenExplore! Seahorses of France and Finding Coral: The Race to Save Deepsea Coral. A regional perspective on ocean acidification from the always excellent folks at oceanbites. Chesapeake Bay Dead Zones Are Fading, But Proposed EPA Cuts Threaten Success. CNU professor’s biogenic breakwater reef business meant to help shoreline. Ever wonder if the tiny fish you’re looking at is actually a minnow? The Fisheries Blog has you covered: Minnow Misconceptions. The other kind of deep-sea mining: De Beers Hoovers Up Its Best Diamonds From the African Seabed. How Many Countries Does it Take to Save a Fish? All of them. Whale poop holds clues about noise pollution and lack of food. You know, NOAA does some pretty cool things. Maybe we should fund them. Drones at sea: Unmanned vehicles to expand data collection from far-flung locales. Deep Sea Mining and the Controversial Solwara 1 Project in Papua New Guinea. Today in “The Internet is a Physical Thing”: MSC Containership Drags Anchor, Causing Internet Blackout in Somalia. This week’s must read: Freitag and friends (2017) Using business names as an indicator of oysters’ cultural value. DOI: 10.1016/j.ecocom.2017.06.007. This week’s other must read: Clancy and friends (2017) Double jeopardy in astronomy and planetary science: Women of color face greater risks of gendered and racial harassment. DOI: 10.1002/2017JE005256. Sardelis and friends (2017) Ten strategies to reduce gender inequality at scientific conferences. DOI: 10.3389/fmars.2017.00231. Otto and friends (2017) Unpaid extinction debts for endemic plants and invertebrates as a legacy of habitat loss on oceanic islands. DOI: 10.1111/ddi.12590. Alfaro-Cordova and friends (2017) Captures of manta and devil rays by small-scale gillnet fisheries in northern Peru. DOI: 10.1016/j.fishres.2017.06.012. Tully and friends (2017) 290 metagenome-assembled genomes from the Mediterranean Sea: a resource for marine microbiology. DOI: 10.7717/peerj.3558. Duthie and friends (2017) The effectiveness of celebrities in conservation marketing. DOI: 10.1371/journal.pone.0180027. 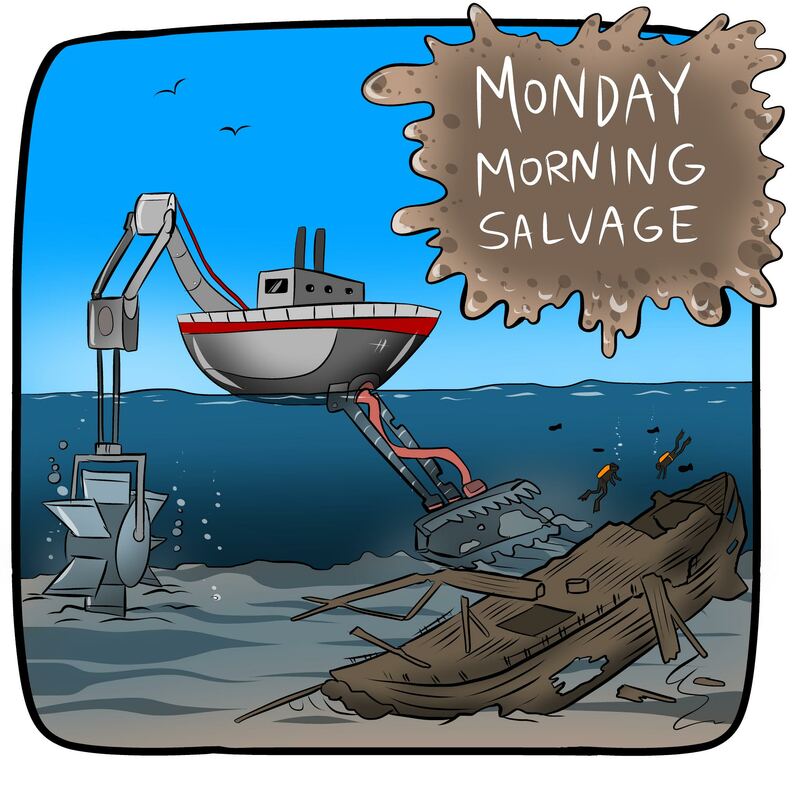 It was a big week for deep-sea mining papers, too! Beaulieu and friends (2017) Should we mine the deep sea? DOI: 10.1002/2017EF000605. Oliver and friends (2017) Abyssal near-bottom dispersal stages of benthic invertebrates in the Clarion-Clipperton polymetallic nodule province. DOI: 10.1016/j.dsr.2017.07.001. Fuchida and friends (2017) Leaching of Metals and Metalloids from Hydrothermal Ore Particulates and Their Effects on Marine Phytoplankton. DOI: 10.1021/acsomega.7b00081. Say hello to the Sea Grant 2018 Knauss Fellows! Yet another reason everyone benefits from continued funding for Sea Grant. Women of Color Face a Staggering Amount of Harassment in Astronomy. Disturbing, distressing, but not surprising. Certainly More Than You Want to Know About the Fishes of the Pacific Coast by Milton Love. This really is one of the best taxonomy/field guide/natural history/history of science/magnum opus book ever compiled. It is massive, brilliant, and very, very funny. Probably More Than You Want to Know About the Fishes of the Pacific Coast is also very good, if a bit less sure of itself. A modern classic and perpetual reminder: When I talk about Climate Change, I don’t talk about science.